Pricing and inventory management interact a lot more than you might think. In this guest post, SkuVault’s new partner, Wiser, explains how optimizing for price and inventory puts retailers on the road to success. 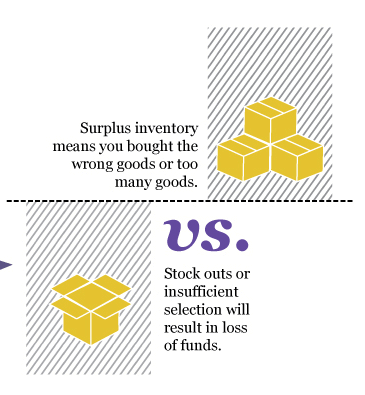 What do Goldilocks and inventory have in common? They often have too much or too little, but finding the right amount is in everyone’s best interest. Until the bears come home, of course… Although this seems like a daunting task, it is attainable when pricing and inventory work in tandem. Inventory is a top concern for retailers and optimizing it with the help of pricing can boost profit, sales, and revenue. In fact, there is a 77% correlation between profitability and inventory turn. While inventory management is crucial in many industries, it is especially true in the apparel industry. Not everyone can be an inventory pro, but the apparel industry has a lot of work to do, as 70% of retailers rate their inventory management skills as only average or below. Don’t follow in the footsteps of the apparel industry; take a stand and show your inventory who’s boss. When 45-90% of retailer expenses are inventory related, you know something’s gotta give. Don’t let small changes in your inventory rule your attention. Instead, focus on building and maintaining a responsive inventory. With the help of big data and advanced data analysis, you can understand customer trends and stock up on the right quantities of the right products. This is the first step toward finding the sweet spot in the Goldilock Zone of retail. The second part of getting into the Goldilock Zone is monitoring assortment. What you have in stock dictates your revenue, among other things. Most shoppers (77%) will go to another website if you don’t have a product they’re looking for. And it makes sense, especially when you factor in potentially having to pay for shipping on two different websites (no fun for the consumer). The moral of the story: stock up on the things your competitors have to compete on a more even playing field. Once your inventory is optimized, your prices must follow suit in order to be a profitable and competitive retailer. Stagnant pricing should be a thing of the past for retailers who want to capitalize on market fluctuations. Dynamic pricing is a way for retailers to alter prices around these external fluctuations, such as inventory levels, competitor pricing, and time of day. When you have too much of one product, lowering the price is an easy way to sell more and make room for other products in your warehouse. The opposite strategy involves monitoring competitors’ inventory, because it isn’t just about you. Knowing how much your competitors have gives you an advantage when they run out of stock because then you can increase your prices and capture more profit. Wiser and SkuVault provide solutions that make inventory mishaps history. Want to decrease the number of times you are out of stock and order the right amount, every time? SkuVault’s got your back. Want to get pricing right the first time and keep up with market trends? Wiser’s got you covered. Pricing and inventory need to work together effectively for retail to run smoothly. Can you think of more ways that inventory and pricing can integrate? Post your ideas in the comments section. Wiser provides a complete suite of solutions to give retailers, brands, and manufacturers the edge to stay both competitive, and most importantly, profitable. Wiser’s core product is WisePricer, a full-featured dynamic pricing and merchandising engine that monitors, analyzes and reprices retail products in real-time. WisePricer enables retailers to boost profit margins and revenue, price with confidence, and improve merchandising through powering the development of a sound pricing strategy.